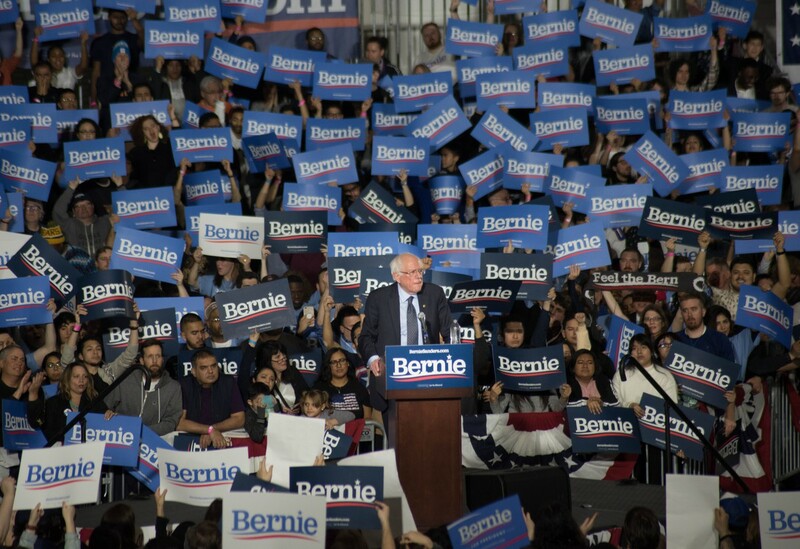 Kicking off his campaign for president with a rally in Chicago on Sunday night, Vermont senator and candidate for president Bernie Sanders (A.B. ’64) spoke about his activism and formative years at the University of Chicago, and gave an impassioned speech on issues ranging from health care to the impact of policing on communities of color. 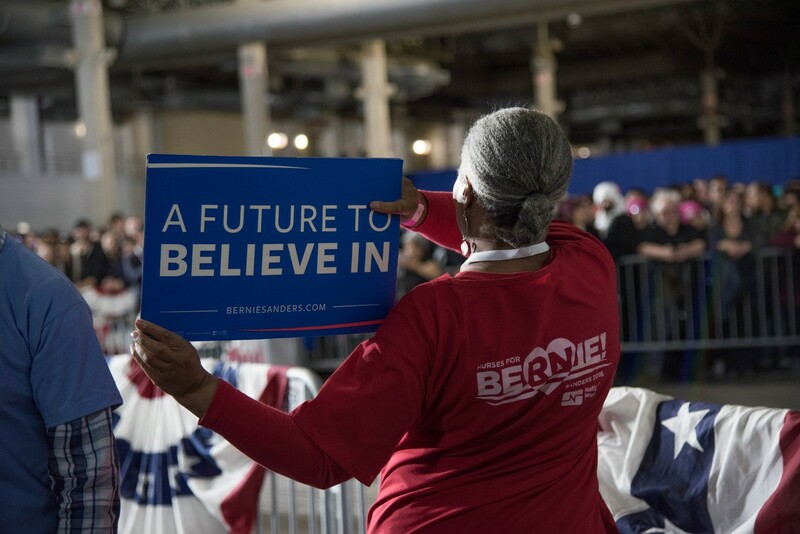 Sanders supporters at a Sunday night rally hold 'Bernie' signs. During his time at the University of Chicago, Sanders served on the Congress for Racial Equality (CORE), a student group dedicated to stopping segregation, and once faced arrest for his advocacy for desegregated schools. But some of his civil rights advocacy, Sanders told the crowd, involved the University itself. He spoke about how he and fellow students discovered that off-campus housing was being segregated: In an experiment, they would send Black couples to look for housing, who would inevitably be turned down and told nothing was available. When white couples went later to the same apartments, they would find that the housing was actually available. “The students in CORE demanded that the University desegregate its housing. When they refused, we staged one of the first-ever civil rights sit-ins in the north,” Sanders said, later adding that he sees what he did as far less significant than the dangerous activism civil rights advocates undertook in the south. While the story of Sanders’s protest at the University is well-known, Sanders himself has not often spoken about his activism. 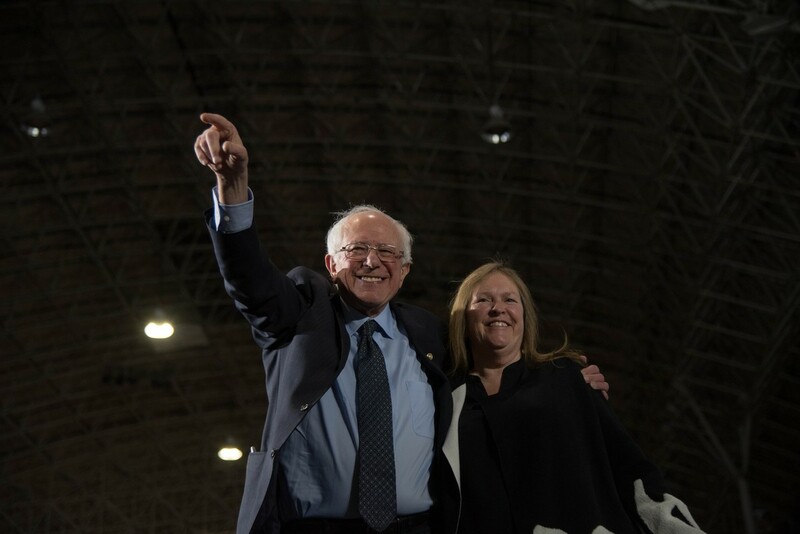 Sanders, who mounted a bid for the presidency as a Democrat in 2016 that won him a large base of supporters, announced last month his run for 2020. The rally at Navy Pier was Sanders’s second rally of his 2020 campaign; the first was held the day before at Brooklyn College in New York City, where he spoke about both his progressive policy agenda and his upbringing in Brooklyn. 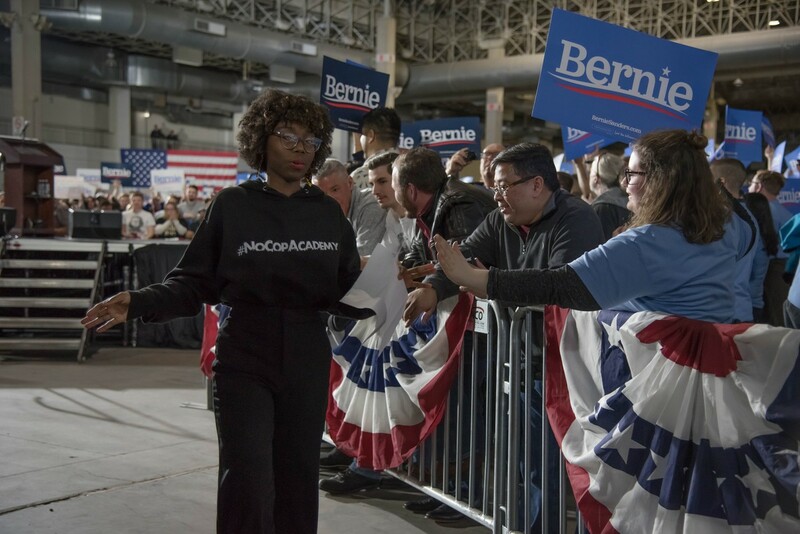 After the rally’s doors opened, the Tommies Reunion gospel choir entertained the crowd, working the senator’s name into gospel songs and at one point extolling the audience to “come on, follow Bernie.” After the national anthem was sung, Destiny Harris, a local poet and activist from the West Side of Chicago, discussed how her upbringing led to her activism, including her efforts with the No Cop Academy movement protesting the city’s plan to build a police academy in West Garfield Park. “I’ve learned that when we build movements that make bold and visionary calls, there are politicians such as Bernie that will address each issue no matter what the cost,” she said. Harris also addressed Sanders’s own activism, approving of his fight against the “homogeny of white folk in Hyde Park” and his struggle against segregation at the University of Chicago campus in the early 1960s. Other speakers who spoke before Sanders included filmmaker Danny Lyon (A.B. ’63), who spoke about what it was like to attend college with Sanders; activist Ashley Galvan Ramos, who emphasized the issues of gentrification and displacement facing residents of Chicago and how Sanders would combat those sorts of issues; Ben Cohen, co-founder of Ben and Jerry’s, who focused on Sanders’s recent accomplishments in government policy; and two of Sanders’s campaign co-chairs, Congressman Ro Khanna (D-CA) and former Ohio senator Nina Turner. 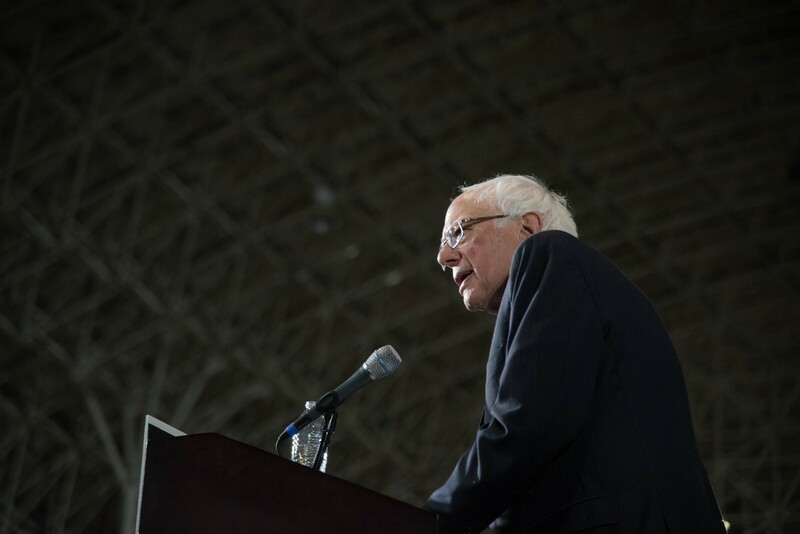 During his talk, Sanders returned to familiar talking points like income inequality, criminal justice reform, and his support of unionization, with jabs against President Donald Trump, Republicans, and massive corporations thrown in. “Do not allow Trump and friends to divide us up,” Sanders warned. Earlier he referred to Donald Trump as the most dangerous president in modern American history, echoing his words from the previous day’s rally. Sanders graduated from the University with a degree in political science. In recent years, he’s stayed in contact with the University. 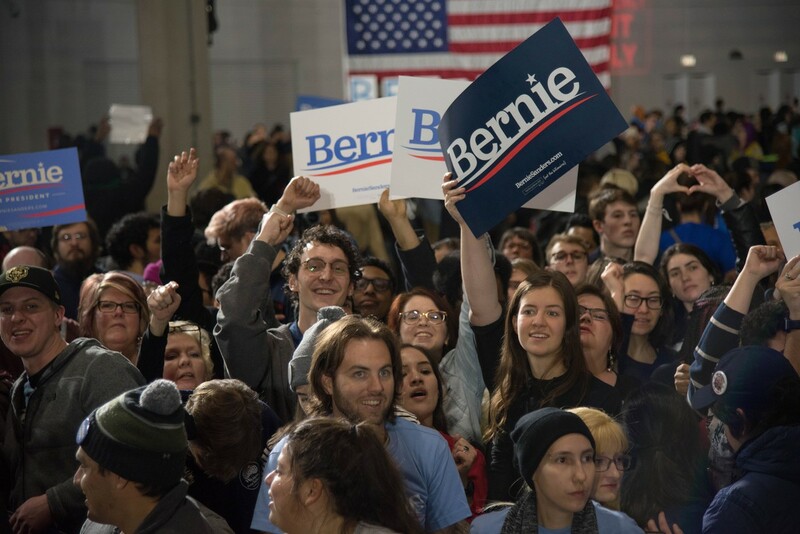 In the fall of 2017, Sanders sent a letter of support to graduate students intending to unionize and a letter to University president Robert Zimmer urging him to respect the graduate student union’s vote. Sanders also came to campus for an IOP event in 2015 and for a live interview at the Quadrangle Club in 2016. A spokesperson for Sanders’s campaign told The Maroon by e-mail that the rally filled the venue’s capacity of 12,500 people. The article previously said that Sanders came to campus for an IOP event in 2017. The IOP event was in 2015.